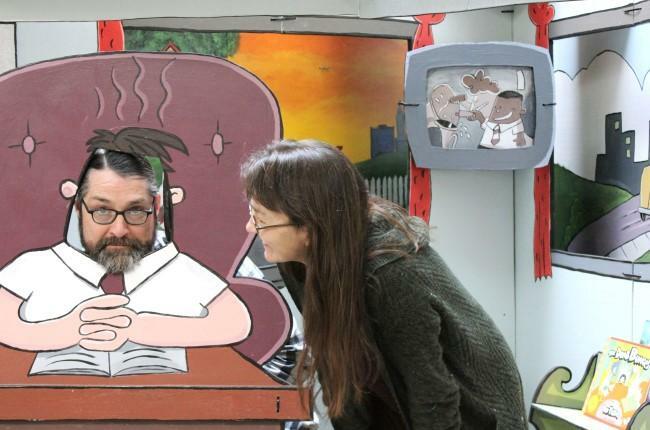 Pete Cowdin and Deb Pettid with their pop-up plywood triptych of 'Captain Underpants,' which they plan to take into schools. Pete Cowdin and Deb Pettid, longtime owners of the Reading Reptile children's bookstore in Brookside, are transitioning out of that business and turning their energies toward what they say will ultimately be something resembling a museum dedicated to children's literature. But they also say it will be a place where visitors will be fully immersed in the books' narratives. 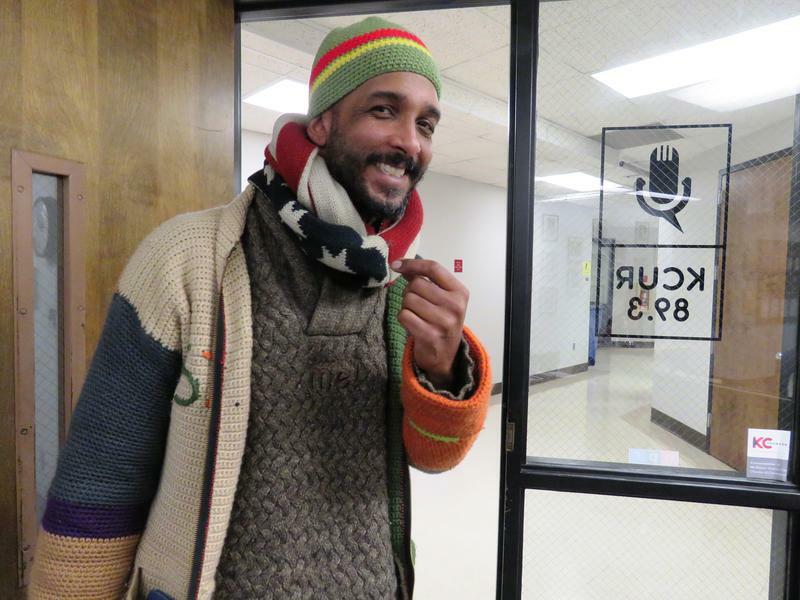 "We're inventing something that doesn't exist," Cowdin told Central Standard host Gina Kaufmann on Tuesday. "We're creating a building filled with narrative." Cowdin described the project as "the world's first explora-storium." Its models, he said, are the City Museum in St. Louis and the Exploratorium in San Francisco. 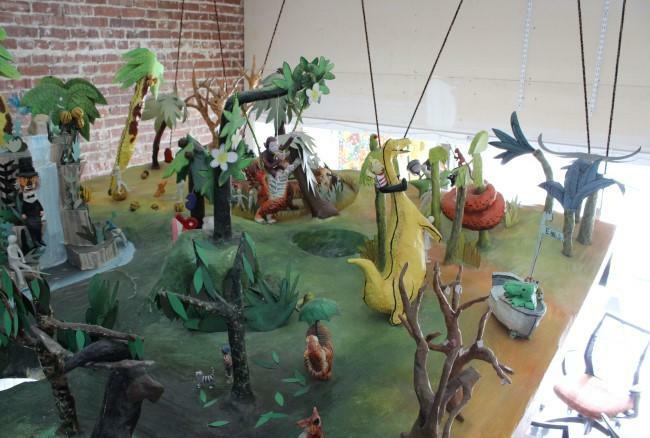 A prototype exists in a storefront at 110 Southwest Boulevard in Kansas City's Crossroads neighborhood, where First Friday visitors may have seen characters, scenes and environments familiar from children's books brought to life through Pettid's extensive papier-mache sculptures. Called the Rabbit Hole, the space provides a glimpse of the couple's larger vision: a building between 50,000 and 100,000 square feet, home to changing galleries where visitors will "walk through a story cover to cover." They'll be able to meet authors, attend workshops and book clubs and participate in whatever other experiences are conceived by Cowdin and Pettid — known among Reading Reptile customers and habitués for irreverent and often adult-themed festivities. The Rabbit Hole is a non-profit. Cowdin said the organization had been in a "quiet fundraising" period which has garnered significant support and will launch a public capital campaign later this year. On its national advisory board are some of the giants of children's literature: Lisa Campbell Ernst, Shane Evans, Kate DiCamillo, Linda Sue Park, Daniel Handler (Lemony Snicket), Brian Selznick and Jon Scieskza. Their relationship with those authors, courted over decades at the Reading Reptile, is one reason Cowdin and Pettid are confident the Rabbit Hole will become a new hub for children's literature. "Authors will be coming all the time," Cowdin said. "It will be a complex, a hive of children, young people and adults. We're appealing to parents and kids — this will not be a place where you drop your kid off." Another model is suspended from the ceiling at the Rabbit Hole. Cowdin and Pettid are leaving their more (if not entirely) traditional retail business at a time of significant disruption in the bookstore business, but they've had this idea for more than twenty years, Cowdin said. "We just want to go with the part of it that's the art we love," he said. But he also hoped to address a larger need. "There’s a problem in society: People don’t read to their kids regularly," he said. "There’s a ton of research about how important that is, how it opens up cognitive development that doesn't happen without that. So why aren’t we doing it? It’s a simple thing to read 30, 40, or 60 minutes a day. The experience that happens around the book is what counts." Even people who don't read or can't read will enjoy the Rabbit Hole, Cowdin said. "We will expand the conversation around literacy." Are you stumped looking for last-minute gifts for the kids and teens in your life? How about the gift of shape shifting or time traveling? 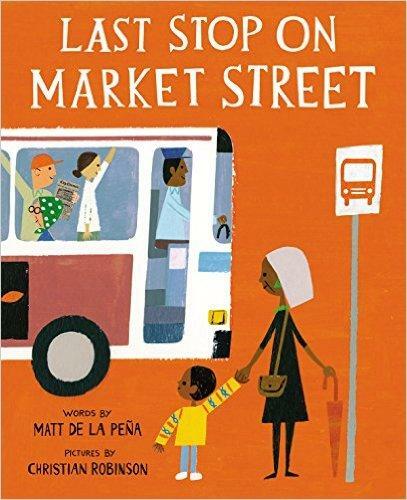 It's all possible between the covers of a good book, and these selections represent the best that 2015 had to offer in the way of children's literature. Johnson County Librarians Dennis Ross and Kate McNair and retired librarian Debbie McLeod offer some recommendations to keep kids and teens reading well into 2016. Kansas City artist Shane Evans was raised by a mother and father whose racial and cultural backgrounds were different from one another. But to Evans they were just mom and dad. He’s also raising a mixed-race daughter. That’s why Evans was eager to collaborate with his friend, actor Taye Diggs, on a children’s book that takes on the complex issues of growing up in a mixed-race household. Diggs has a six-year-old son with actress and singer Idina Menzel, who is white. 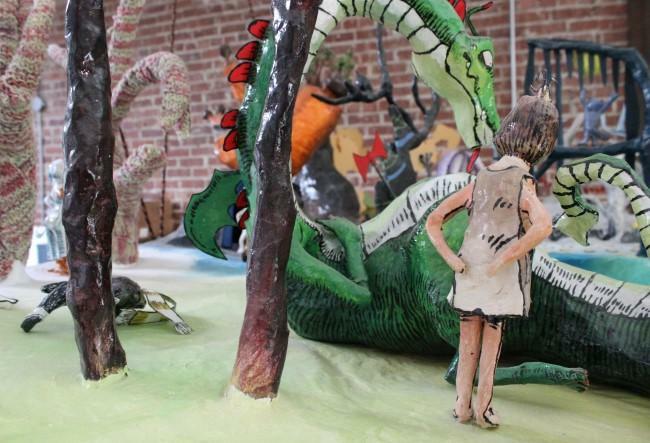 Kansas City Artists Interpret "Alice In Wonderland"
Lewis Carroll's Alice's Adventures in Wonderland has inspired countless unique interpretations within art, literature, dance, theatre, music and film. We take a look at some local artists' versions as the story turns 150 years old.